I’m a bit scattered these days. If you’ve spoken with me lately, I’ve likely told you about my recent battles with sleeplessness, but what I probably haven’t told you, what I had been waiting to tell you so that I could do so in one swift, confident sentence, instead of one long explanatory paragraph, is this: I’ve been at work on a book proposal for a food memoir—a Bon Appétempt book. In some ways, I’ve been down this road before and didn’t want to divulge this fact until the proposal had been sold, and I could just make a giant layer cake, throw my hands up and announce the book deal. But, as I keep learning over and over again, getting what you want out of creative endeavors is never as simple as you hope them to be. It always takes five times longer than you’d planned and is ten times harder than you’d anticipated. So, instead of celebratory, self-assured cake, I bring you workaday, hopeful cabbage. 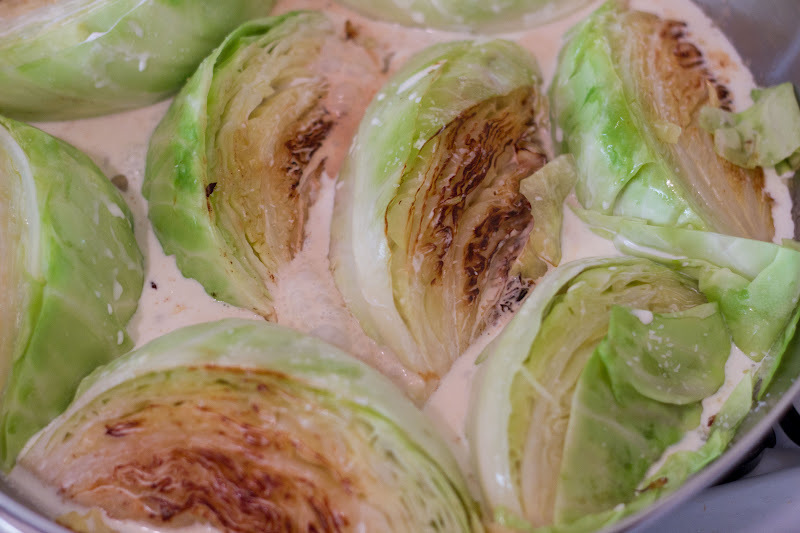 I had been eyeing this cream-braised cabbage recipe that Molly Wizenberg offers up in her book, A Homemade Life, for a while now, but had been waiting for the right cold day to make it. When gray clouds and rain set in about a week ago, I knew it was time. I picked up a small head of green cabbage and heavy cream at the grocery store. Only, the very next day, the day I’d planned to make the dish, in classic Los Angeles fashion, it was shockingly hot and sunny—not exactly cream and cabbage weather. I’d spent the morning and afternoon in a tizzy—the kind when no sooner had I hung up the phone, I was dialing again, afraid to be alone with myself for longer than a few moments, afraid what that might actually feel like. At around four o’clock, I realized that we had no good ingredients for a decent hot-weather dinner. I started thinking about what else I might make, when something in me told me to stop thinking and just make the cabbage. I’m so glad I listened. Once I began—once I turned on some music, did the dishes/cleaned the kitchen (yes, I pre-clean, what of it? 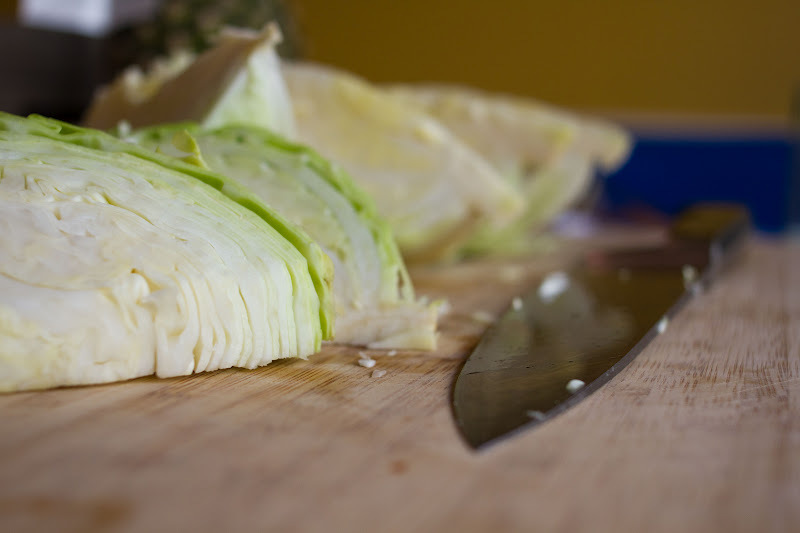 ), and started in on the simple act of washing the cabbage leaves, I could feel the tension leaving my body. Don’t get me wrong. It’s not always this therapeutic in my kitchen, but that day, that moment, I needed a break from the rapid-fire thoughts shooting around in my brain box. I needed to focus on something else, and if that something happened to smell like buttery, nutty, toasty cabbage, I was okay with that. Surface time! So what I’ve been doing has a name! Something must have gone off in the host, Krista Tippett, as well, because she chimed in: “Yes, and over-structured.” Exactly, Krista! We fill our days with over-structured, surface-time. I think this is partly why making this heavy-cream-braised cabbage on a hot, sunny day was so good for me. On a practical level, the two didn’t belong together, but on another level, a level that was meant to soothe and restore me, they did. And if I hadn’t listened to that part of me that was begging to just start cooking and stop thinking, I may never have discovered this. So, if stress is indeed a perverted relationship to time, well then, count me as a total pervert. I take on project after project and then rush to distribute them into the universe. And when things don’t go as quickly or as smoothly as I’d like, I become discouraged and anxious, which leads to sleeplessness, which leads to grumpiness, which has a marked, negative impact on the work and everything else. Mr. O'Donohue explains how one of his friends does a meditation where he first imagines the surface of the ocean; it’s restless and unsettled. Then, he imagines slipping down deep below the waves “where it's still and where things move slower.” Like all of us, I have many structures in my life, but probably none quite so rigid as my day job and the weekly Bon Appétempt posts. And while I love this latter arrangement, while it gets me through many a week, I also want each and every post to be thoughtful and somehow better than the one before it. And in order to get there, I believe I need to let go of my weekly schedule for just a bit—in order to wander and wonder more, in order to relax and just be—under the sea, if you will. Friends, we have quite a few funny cooking videos to shoot, Paris to explore (only one month away! ), and beautiful cakes to mess up; I won’t be gone long. I’ll be surprised if I last more than two weeks without you, but when I do return, I hope to be a little more relaxed and a little sweeter, just like this cabbage. 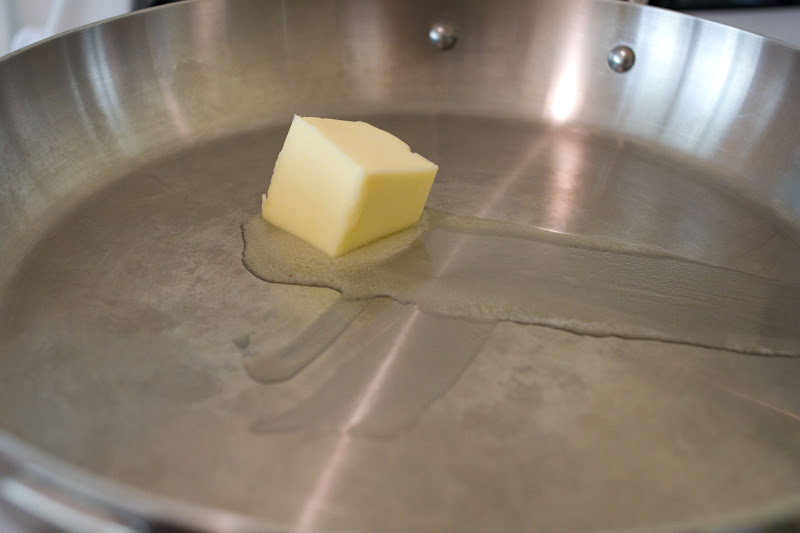 In a large (12-inch) skillet, melt the butter over medium-high heat. 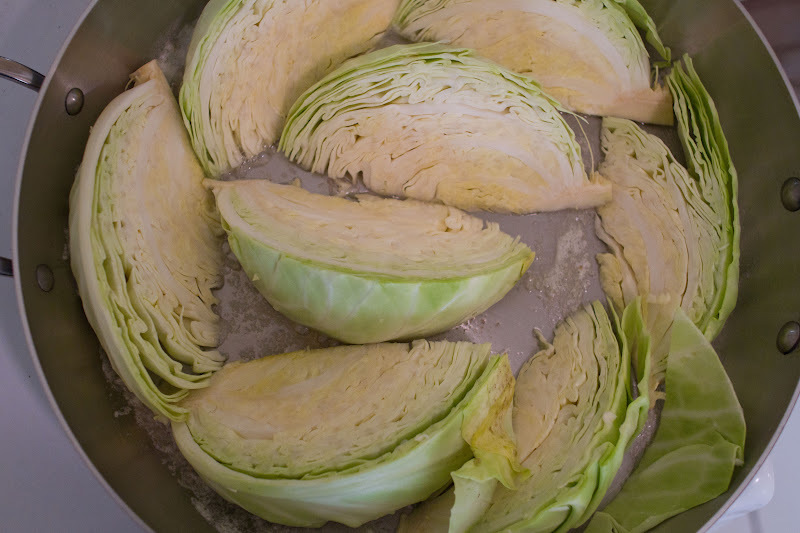 Add the cabbage wedges, arranging them in a single crowded layer with one of the cut sides down. Allow them to cook, undisturbed, until the downward facing side is nicely browned, 5 to 8 minutes. She likes hers to get some good color here, so that they have a sweetly caramelized flavor. Then, using a pair of tongs, gently turn the wedges onto their other cut side. When the second side has browned, sprinkle the salt over the wedges, and add the cream. Cover the pan with a tight-fitting lid, and reduce the heat so that the liquid stays at a slow, gentle simmer. Cook for 20 minutes, then remove the lid and gently, using tongs, flip the wedges. 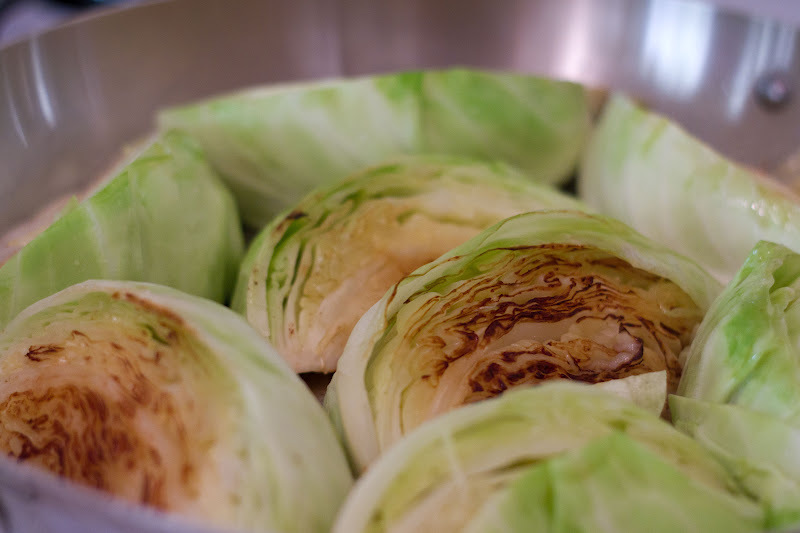 Cook for another 20 minutes, or until the cabbage is very tender and yields easily when pierced with a thin, sharp knife. Add the lemon juice, and shake the pan to distribute it evenly. 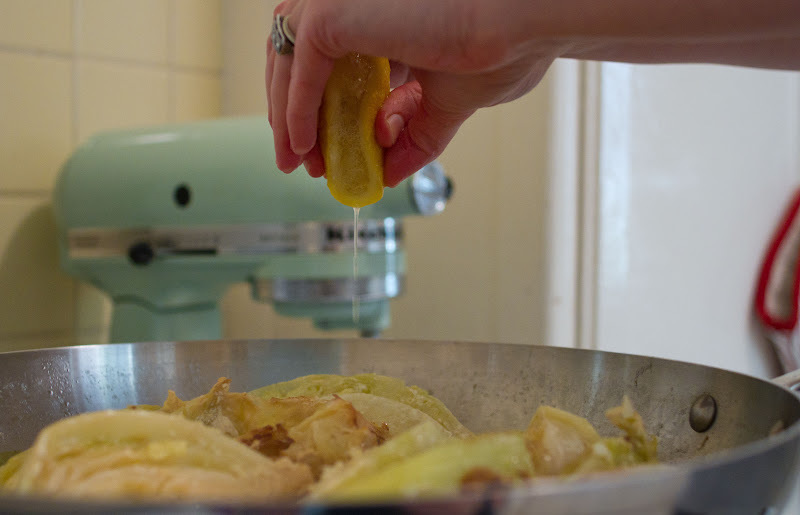 Simmer, uncovered, for a few minutes more to thicken the cream to a glaze that loosely coats the cabbage. Serve immediately, with additional salt at the table. One of your best. Really truly. That was perfect. Thanks, Rebecca. Was thinking of you when I quoted O'Donohue. In a sentence, what an awesome guy. I listened to the On Being podcast yesterday. This dish would have made it almost too stimulating but it would have been nice to try. Yummy in so many respects. 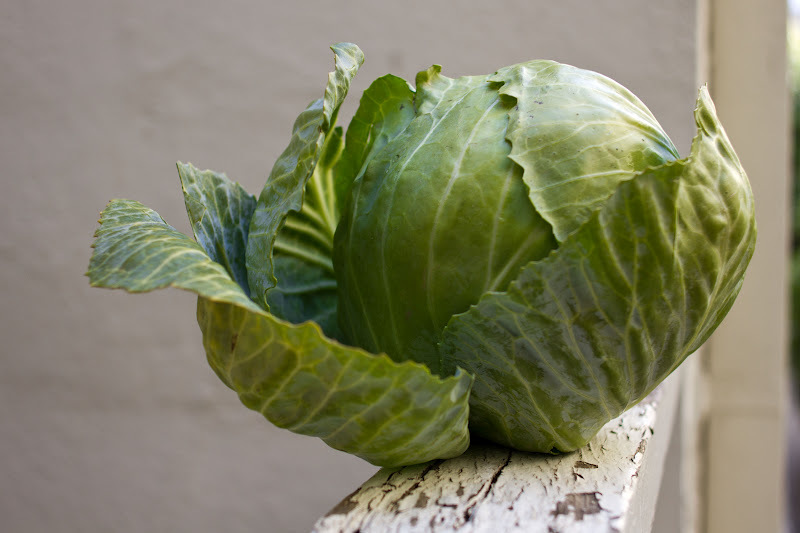 I love brussels sprouts (you know, tiny cabbages) -- and this cabbage reminds me of them. 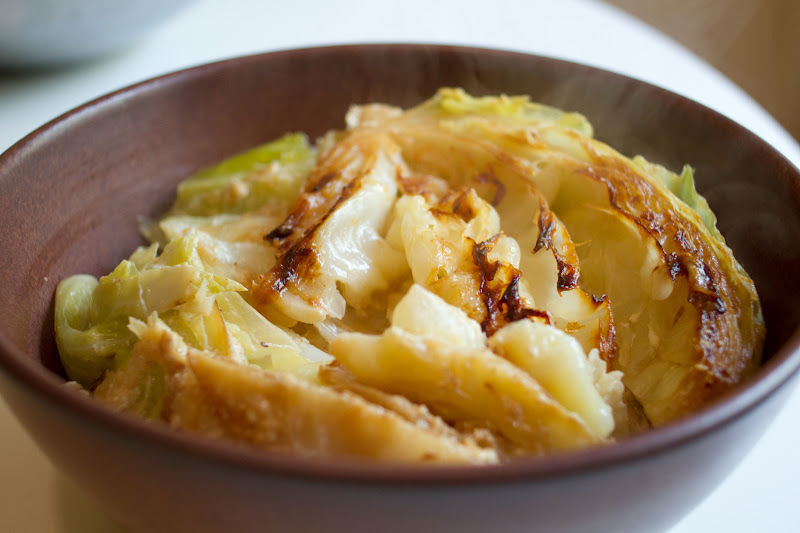 Also being from Pittsburgh, I can understand just how good this would be on a cloudy day... yum, braised cabbage. Glad you could enjoy it in sunny L.A.! Can i just say that I love your commitment to quality and thoughtfulness. Reading your blog is such a thorough and satisfying experience for me! If your book is anything like it, it will be a bestseller and I will force all of my friends to read it twice. Can't wait for your next post, whenever that may be!! Brilliant. And so serendipitous. This very morning, I blogged about Orphic discoveries (as opposed to the Promethean, which pretty much goes along with the perverted stress thing)... and behold this post... I'd say all it's missing is a lyre, but I could just hear that cabbage sizzling! I'll be revisiting this post both for the recipe and the generous serving of philosophy! -Greta. What a beautiful and dreamy post Amelia. I am glad you made this and were able to slip below the surface for a moment. I love A Homemade Life, to see one of it's recipes recreated with such reverance is a delight. Good luck with your book proposal and have a fantastic time in Paris! i can't decide which I like better - "a jacuzzi bath of cream" or A BON APPETEMPT BOOK. duh, a bon appetempt book! very cool, amelia. time becoming routine...very interesting. i'm going to go think about that one. Isn't Molly's book wonderful, I've read it twice and am sure it will surface again. Lovely choice of a bowl to photograph the cabbage in. That's when my stress level shoots up a little: having worked so hard and been so excited about something, sometimes photographing it isn't fun because I'm worried it isn't on the right plate/light is bad, and OMG THE WORLD WILL END. These photos are great, from the butter to the last! Props to you on working so hard on the book proposal. Best of luck, ma chere! this is lovely! and a book! (still exciting, even if you're still in the trenches..) and i love 'homemade life' so much (consider making the custard-filled cornbread). and cabbage is so underappreciated. loveliness all around. Can I preorder the preorder of your book? Are there publishers I can call to say how I'll be among the first to buy your book? Can I tell you that you've inspired me to be better in the kitchen, to have more fun, to laugh at my mistakes? Can I get my copy signed? Can you publish this thing already??? I'll be waiting. Your posts week after week never disappoint. ¡Bon Appétempt es una buena lectura! A good read! Do you say that in English? Thanks so much, Meister. That really really made me smile. Thank you! And yes, Adriana, we do! I love the image of slipping below the waves for a bit of peace; I needed that image today. 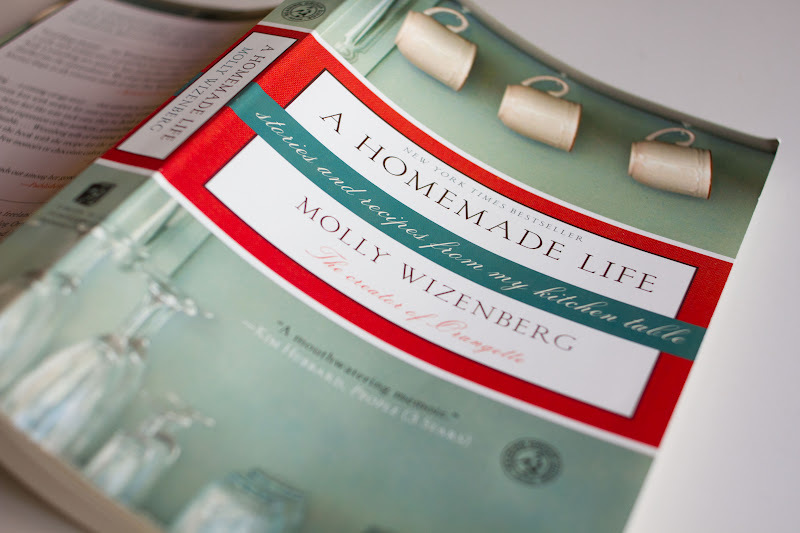 I also love Molly's book, as well as cabbage when well prepared--like this! Best wishes to you as you work on your book proposal. I'm just stopping by to say that I made this for lunch just now, and it was so wonderful! Though I didn't get to add the lemon juice, my significant other proclaimed: I'm your recipe! and added bacon and dried chilli instead. Also, for whatever it's worth, I'll have to change my moniker soon, because it appears all wonky on some sites. Your fan, Greta. Lovely essay. I have a head of savoy cabbage ready to harvest in my garden. This recipe sounds perfect for it, and here in Atlanta, it's still nippy brassica weather. Oh, Amelia, I am SWOONING!!! Greta! Bacon, dried chili and your significant other all sound superb. So glad it turned out deliciously. Thanks for stopping back and for your well wishes! And yeah, I know, what's up with your moniker looking all strange here? Can we blame blogger? I hope so! Thanks again and p.s. I love the name Greta. three cheers for a BA book! and i am going to have to make this cabbage. i got super into cabbage before i left la, have yet to make it here. this looks divine. There are so many things I love in this post: 1. Your book! I am ordering it as soon as possible. It will certainly be picked up, and you will certainly write one of the best culinary memoirs around. 2. Krista Tippett! 3. "brain box"- that's what my dad always called it growing up. 4. This cabbage and Molly's book. I've read the book and reread chapters each time I cook something from it. I've made this cabbage at least five times, and I love it so much. 5. I pre-clean, too, sister. Way to be. Congratulations on your proposal, and thank you for sharing your honest and completely relatable thoughts. We've all been down the sleepless rapid-fire thoughts road, and it's good to remember that we come back intact, and sometimes all the better for it. *Of course* there's a proposal in the works!! It's always been there in the sea of things, while you've been minding the stress and wind up on the surface. You are destined to have a book. More than one. I'd wager. So please don't fret about explaining to us stories of progress and set-backs re: proposals, etc. To continue with the water metaphor & as A. A. Milne so delightfully put it, "Rivers know this: there is no hurry. We shall get there some day." This looks simple and simply amazing. YUM! this is terrific news! you should definitely take all the time you need to get into the relaxed-and-sweetened cabbage mode so that book writing and blog writing is as fun and creative a process for you as possible! i can relate to all sentiments here! 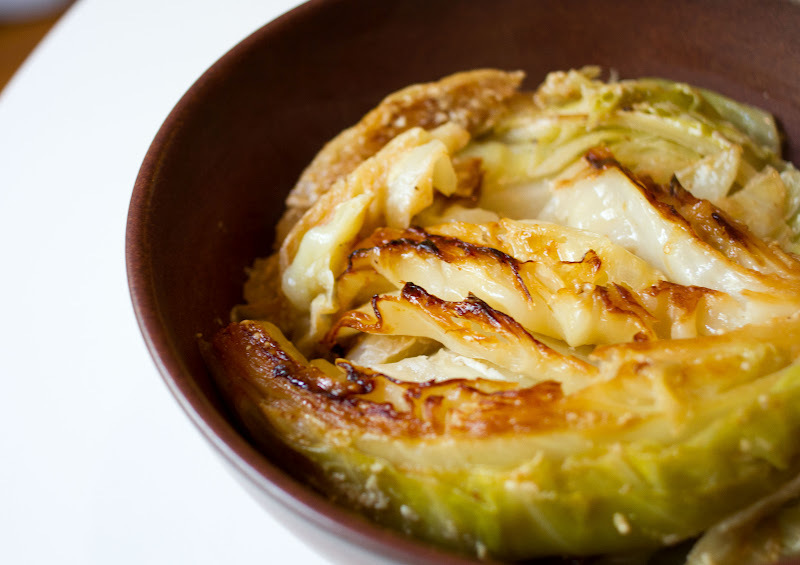 this cabbage dish is totally up my alley too... i am going to make it this week! OK I just made it. IT WAS BEYOND AMAZING. I wanted to eat the entire cabbage and lick the pan clean. Thank you!! yes! this is so exciting!! so many people are making this one!! i love it. Lovely and inspirational post. You have completely altered my thoughts on cabbage, which originally I associated with an angry mother and cabbage soup! so thank you for that, and fingers crossed for your book. I just made this and convinced my 6 year old to try it - he did and then asked if he could have "the whole cabbage?" It's so good! I can't wait to try this recipe, Amelia! Looks delicious. Also, On Being is one of my favorite podcasts. I haven't listened to the John O'Donohue episode yet, but I will soon. Sounds like something I need to be reminded of. Cheers to wondering and wandering! i LOVE that quote, Whitney. Thank you so much for that. Of course I'd buy your book. Duh. But i'm not gonna lie.... it pretty much doesn't get much better than your bon appetempt videos. Luff you. Story of my life, Amelia. And you always say it so well. I can't wait for this book. Really. i'm one of your biggest fans! can't wait to get your book. love you, my sweet worm. Beautiful. Crossing fingers for you (pst- I would absolutely be lining up to buy that book). And Oh god, you nailed me. I feel like such a cliche with my layer cake now. Awwww, thanks, Tori! And puhlease, that cake is anything but cliche! I want to make it asap!! So funny to see this post because I just started re-reading this book as well and the braised cabbage recipe caught my eye. I always have left-over cabbage from making coleslaw. I'll definitely have to give this a try. Your pics are great. As soon as I saw this post, I knew how I was going to use the leftover cabbage in my fridge. Thanks for the amazing recipe; it's a keeper! I tried it and loved it. Felt a little underprepared as I don't own a pair of tongs. Lost a few wedges to poor flipping. It's a keeper. I really enjoy your blog. What I enjoy even more is your HONESTY! So often when I flip through these magazines and see these perfectly styled food photos with a recipe and story about how comforting...or fantastic it is, for me there is something missing. Honesty. Thank you! On another note, one of my favorites is a thinner slice on the cabbage, braising in cream, tossing it with rigatoni and topping with tons of melting curls of parmesan and bright fresh herbs! thank you, katie!! and again, thank you! that sounds like a dream pasta meal. I did a web search for cabbage and cream because they sounded good together and that's what I had on hand. This was the first result and sounded like a reasonable approach. It was much more than reasonable. It was great and is now one of my favorite cabbage preparations. Thanks for the idea. Hi, I'd love to print this recipe and make it this St. Pat's Day, but when I hit the printer icon I get a different recipe. Is it possible to fix this? Thanks so much. This looks interesting and I can't wait to try it!